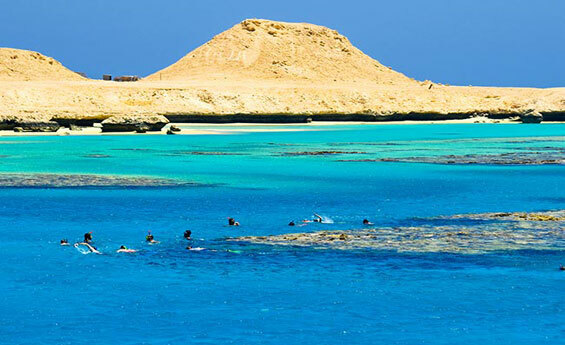 Cheap Egypt Holiays provide perfect chance to enjoy Cairo, Luxor and Hurghada cheap Tours, visit Cairo Tours, Then proceed to Luxor and enjoy its historical landmarks, finally relaxing on the fascinating beaches at Hurghada. Shaspo Tours representative will meet & assist you at Cairo international airport, transfer to hotel, overnight in Cairo. Breakfast at hotel, enjoy an excursion to visit Giza Pyramids of Cheops, Chephren, and Mykerinus, then proceed to the panorama area, take memorable Photos for the Three Pyramids Together, continue visiting The Sphinx, and the Valley Temple, Optional to visit the Egyptian Museum including the treasures of King Tut AnkhAmun, at the end of your tour, transfer to Giza train station for departure to Luxor by night sleeper train, dinner & overnight in Sleeper train. Arrive Luxor train station, meet & assist – transfer to hotel, refresh, enjoy an excursion to visit the East Bank in Luxor, Visit Karnak & Luxor Temples, back to hotel, at night optional to enjoy the Sound and Light show at Karnak temple, overnight in Luxor. Breakfast at Hotel, day at leisure in Luxor, or optional to visit the West Bank, visit Valley of the Kings, Valley of the Queens, Hatshepsut temple, and Colossi of Memnon, then drive by air-conditioned van to Hurghada, arrive hurghada, check into your hotel, overnight in Hurghada. Breakfast at Hotel, day at leisure in Hurghada, enjoy the marvelous sandy and sunny beach, enjoy swimming, snorkeling, diving, and different water sports available on request, overnight in Hurghada. Breakfast at Hotel, day at leisure in Hurghada, enjoy the marvelous sandy and sunny beach, enjoy swimming, snorkeling, diving, and different water sports available on request, approx. at 12:00 pm. check out from your hotel in Hurghada, drive by air-conditioned bus back to Cairo, meet & assist at Cairo bus station, transfer to hotel, overnight in Cairo. Breakfast at hotel, transfer to Cairo international airport for final departure. Meet & assist at Cairo International Airport plus transfer to hotel by air-conditioned vehicle. Reservation should be at least 3 days before arrival. Prices per person quoted in US dollars. If you wich to adujst or to add anything to the program, please let us know. Prices are not valid for Christmas, New Year or Easter Period.